"My whole experience of having my F-Type serviced at Grange was completely hassle free." 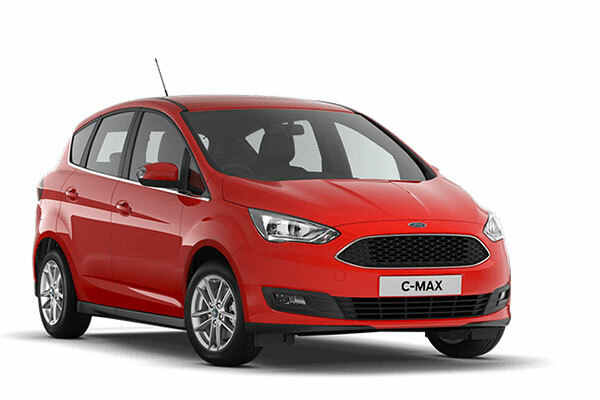 Read our customers' honest and impartial Ford C MAX car reviews and ratings to easily find your next car at Motorparks. The car is unbelievable, it is fantastic to drive and lots of headroom. I love all the gadgets in the car as well. Very happy with the car, spacious and very economical on long journeys. The car has an automatic boot feature which is very useful and is quite economical for a petrol engine when around town but not so good on motorway driving. Poor acceleration not helpful. Very good. I was told by Dave Long that the smaller engine would be better than my old 1.6 - he was right. Part exchanged to a new car. Great car, great deal, great overall service. My Canterbury salesman Darren went far beyond the call of duty, sorting out problems despite being very ill. Unfortunately spoilt by a faulty unspotted problem with the hands free that did not reflect well on the pre sales check. The car, a C Max Zetec, is absolutely fantastic and I would highly recommend it. I'm very happy with the car, glad I got it. Cheap to run and drives smoothly. Lovely car to drive and handle. My biggest disappointment is I feel cars in this price bracket should have retractable wing mirrors as standard!! My CMax Titanium X is fine with no problems to date. It has taken a while to get familiar with the cockpit layout, touch screen etc after upgrading from a Focus Titanium but I love the relaxed drive and comfort. I was looking for improved performance on my previous FORD CMAX and this car certainly has it. Lovely condition - almost new, but at a more comfortable price. We have previously owned 2 C-Max diesel cars, and liked them for caravan holidays as the back seats take out easily giving good space for equipment. We sought another C-Max for our replacement, but switched to petrol, and were disappointed to find that the 1.5l engine is not available in that car. We like our new car which drives well on the open road when not towing. It copes surprisingly well as a tow car with an engine of this size for a small 990kg caravan, but a lot of gear changing is necessary and the "change up indicator" is optimistic. 6th Gear is only used on flat motorway sections. It did not perform as well as our 1.8l diesel as a tow car and we used the slow lane on hills when towing. We think that the 1.5l engine would be better for towing if it were to be available. We took the car to France with caravan for a 3 week holiday and towed for 1703 miles with an average consumption of 27.6miles/gallon. When not towing, we achieve about 35.5miles/gallon, this being mainly on short journeys. Our likes include:- High driving position, easy removal of back seats, the ability to change the large digital display to read km/hr, the retractable tow hitch, separate front and rear fog light switches, a good radio which receives Radio 4 in Southern Brittany. Dislikes:- a bit under powered for towing, with the need to work hard at gear changing, the side lights come on when the boot or any door is open. We like to have the boot open a lot on arrival at a site, when the caravan is hitched up, its 8 lights come on as well. For the past 3 years, we have driven a Ford C-Max. In April, it was time to trade it in for a new model. We chose a C-Max again, the updated model. We can hardly believe that it is the same basic model as our previous vehicle. Greater comfort, greater safety features such as running headlights and retractable wing mirrors and seemingly improved performance. We drove the previous car because we had to, but it was no real pleasure. This car is a real pleasure to drive. Sadly, we have driven it only 500 miles 'around the town'. We are looking forward to enjoying the vehicle on a longer out of town journey soon. I am disabled, so we chose the C-Max for comfort and ease of entry. So far we are pleased with our choice. This is our second Ford C-Max and this one has push button start. It is so comfortable to sit in and helps us as we have bad backs, and driving it is so easy. Lovely colour that stands out as well. All in all we are pleased with Ford cars. I have the new C-Max. It is so nice to drive. I am only little so it is good for me to drive. Received very good service when I went to get it. Great.